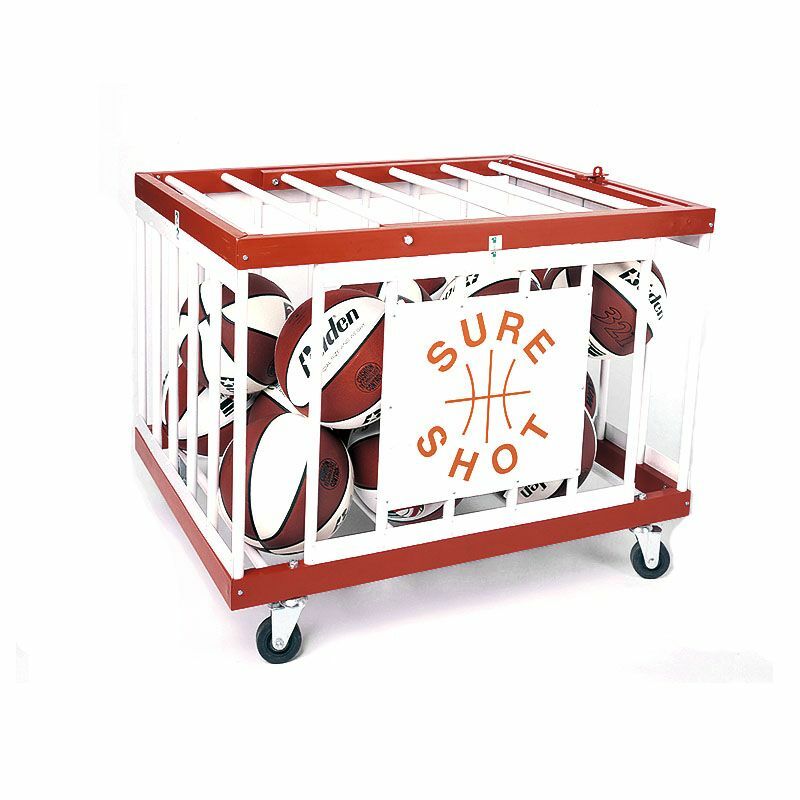 The Sure Shot 464 Multi Purpose ball cage is ideal for storing balls. It can hold up to 24 official size basketballs and has a light but sturdy aluminium construction. The cage can be locked for additional security (padlock not included) and is flat packed as well as simple to assemble. Additionally, it comes with 4 rubber wheels to provide easy transportation to the playing area. for submitting product information about Sure Shot 464 Multi Purpose Ball Cage We aim to answer all questions within 2-3 days. 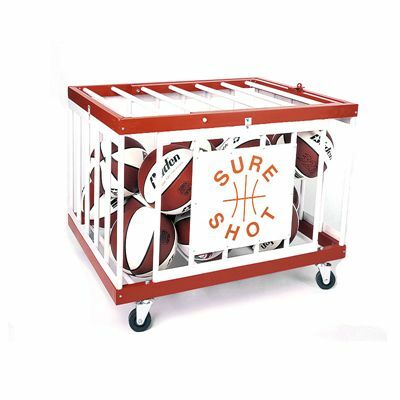 for submitting product information about Sure Shot 464 Multi Purpose Ball Cage. We aim to answer all questions within 2-3 days. If you provided your name and email address, we will email you as soon as the answer is published. for submitting product review about Sure Shot 464 Multi Purpose Ball Cage.